We've hit the half way point in the year which also means it's time to collect your monthly freebie foods and neopoints! As you'll be aware, we're fundraising to keep Jellyneo online and ad-free for 2018. If you're able to donate, we'd be eternally grateful! You can find out all the details here. As a thank you for donating, we have shiny trophies available. All the info is on our donation page. 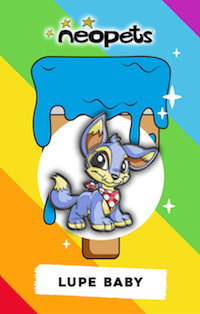 A new stamp avatar has been released, this time for the Neopia Central album page. This page has 2 stamps that were released exclusively as Lenny Conundrum prizes over a decade ago... so just forget about this one. Today, June 4th, is the first day of Altador Cup XIII! As is usual, today you can begin playing Yooyuball, Slushie Slinger, Make Some Noise, and Shootout Showdown to receive credit towards the final prize shop. Legends of Altador, this year's NC component, is also live today and running through June 28th. Check back on June 8th for more information about the TNT Staff Tournament side event. I just got an Altador Cup team avatar! Will this add to my permanent avatar count? 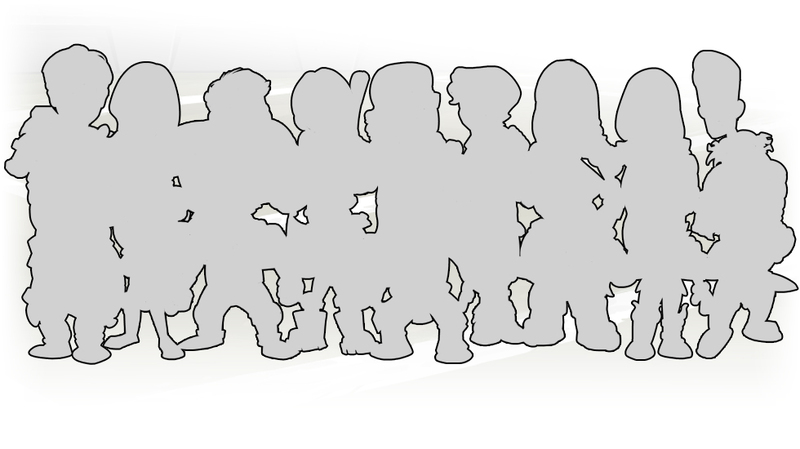 No, these team avatars are just so you can show your support for your team on the Neoboards. They will disappear at the end of the tournament. In order of above: NeoQuest II, Battle for Meridell, Meridell vs. Darigan, Scarabs, Coins, Altador, Other, Space Station Coins, Evil Coconuts. As always, check out our Stamp Album guide and Stamp Checklist Tool to see how many more stamps you need to complete your album! Wait, we saw so many requests for [stamp avatars], we didn't even stop to think whether there were any drawbacks to doing this. Meh. *Another* lesson learnt for next time. Sigh. Yes, we always intended to release more avatars for other areas of the site, but now it looks like we need to push that up the priority list. We do want to rerelease some of the very rare, old stamps. I've seen Dr. Sloth's Auctions, but like you said, only the super rich will ever be able to get them, again. Do you have any more suggestions on how we can do this 'carefully'? Adding them to dailies but making them extremely difficult to get seems like a good idea..
tl;dr: They had the best intentions, but now see that more action needs to be done. Looks like rare stamps could be re-released soon, along with some avatars that are not stamp-based. It appears that Neomails are going out informing users if they were eligible for the "A Stickler for Time" achievement that some missed due to a glitch during the plot. This will only apply to those who missed Day 1 of the Fiendish Formations portion (as confirmed by TNT below). If the achievement pushes you up a trophy rank, your trophy will be automatically upgraded and you'll receive the prize you missed. You can also claim your avatar from the achievements page. For most Neopians, this will likely mean an upgrade to the top trophy tier along with the Wraith Resurgence Stamp. We have verified that you are eligible for the "A Stickler for Time" achievement in The Wraith Resurgence, as you only missed Day 1 of Fiendish Formations. With this achievement, you have made it to the next trophy level. Accordingly, we are updating your trophy and adding an extra prize to your inventory. If you completed 28, 14, or 15 achievements (you can count them on the achievements page), please post in the comments on this post or send a report to let us know so we may update our guide! UPDATE: TNT has posted a long message about who ended up being eligible for the achievement recount. The short version is, only those who missed Day 1 were eligible for the "7 out of 8 days" fix. If you missed Day 2, 3, etc. you were not eligible. There was quite some confusion at office about the 'A Stickler for Time' achievement and what we had done to address that issue. However, since then, the programmer that worked on it came back and asked us a few questions about the bug reports that started trickling in, which is when we realized that she'd been talking about a different issue all along. She thought the problem we'd been discussing was the bug that unlocked certain days in advance for some of you, and messed with your total count of days completed. THAT was the bug that she insisted she had fixed way back then, NOT the issue with players who didn't catch group 1 on the day of release. Now you must be wondering why I said we had fixed the issue by changing the requirements to finishing any 7 out of 8 days on the day of release - this was something that we had discussed in office as a solution way back then, but apparently never implemented. The confusion came about because she was telling us she had fixed the problem (a different one) but that she couldn't remember exactly how, and another member on the team (who, like most of us, thought we were ALL discussing 'A Stickler for Time') said 'I remember this. The fix was that we changed the criteria to 7/8 days.' Somehow she didn't catch that, and therefore didn't correct him - but those of us that heard him all thought that was the explanation. After we realized our mistake, we ran a script yesterday to update the achievement for those who completed 7 out of 8 days, with one additional criteria – the day you missed had to be Day 1. We think this is better than just handing it out to everyone that missed any 1 of the 8 days. This is the final decision on this matter. I'm genuinely sorry about the inaccuracy of my previous post on this topic. I was truly mortified when I realized that I had given you the wrong information. In all honesty, I wanted to just keep mum about it and pretend like nothing was wrong, but it was pretty obvious that the NeoMails that were being sent out yesterday were very different from what I had told you would be happening with this achievement. I'm here to apologize and to request that you don't let this prevent you from trusting in me as a reliable source of information here on. The first round of the TNT Staff Tournament is live, and you have until Tuesday, June 12th at 11:59 PM NST to get your guesses in! The goal of the guessing is to pick who will score the highest in each round, which will net you the most prize shop points. These points are only good in the TNT Staff Tournament prize shop, so it's an extra in addition to the regular Yooyuball playing! New this year: Each round, a TNT staff member will be chosen, based on unknown criteria, to be the All-Star of the round. If that staff member was in your team lineup, and you selected them as the All-Star player for your team, you'll receive an extra bonus prize. Our 2018 guide is up, but we also encourage you to look back at the 2017 guide to see how some staffers may stack up against each other. 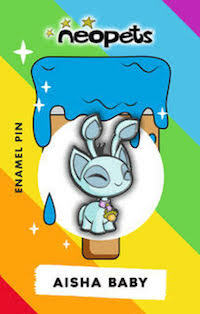 The latest Baby-coloured Neopet pins from Overpowered are now available for pre-sale, with delivery in July. 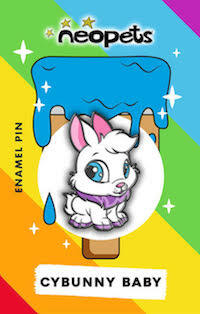 The species include: Aisha, Cybunny, and Lupe. As usual, during the pre-sale, you'll receive two Rare Item Codes rather than the usual one. Once the pre-sale ends, you'll only receive one Rare Item Code per item. As of writing (June 13), the codes for the Baby items are now working, and the items are r101 Neopoint items. You can buy/trade/sell them as other normal NP items. Overpowered is also working on keychains to accompany this set, so stay tuned if you're more of a keychain person. Today has seen the release of an extra plot prize, the Potion of Healing. This is an extra prize for those who donated additional potions beyond the achievement requirements during the plot. It appears to be a once per battle healer, however it is not currently subject to the Equip One rule that normally applies to healers. It is unclear if this is a glitch or deliberate. Players who received the Potion of Healing will find two in their inventory. Do not move either item from your inventory until further notice. You can not sell, auction or trade the potions, nor move them to your SDB until this is resolved. We have sent out a NeoMail with the same instructions. If you have moved it to your SDB/equipped your pet with it, move it back to your inventory and leave it there. If a random event takes it away, you can send in a bug report to get it added back to your account. We're currently collecting information on exactly how many times you needed to donate in order to qualify for the potion. If you got one, let us know how many potions you donated across the event. Additionally, hardtotame made another announcement about changes to the new team avatars for the Altador Cup. Initially, they were to be removed when the Cup ended, but this has now changed! Have you read the updated FAQs? You can keep your team avatars after the tournament ends. Next year, if you decide to join a different team, the new avatar will replace the one from this year. I hope you're enjoying the Altador Cup! Additionally, she posted that the animation of the Altador and Faerieland avatars would be fixed so that they looped correctly. 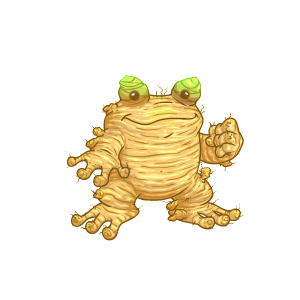 A new colour is now active for Quiggle Day!